A $200 Value for ONLY $49 with 8 Video sessions including worksheets! That's Less Than $7 a Lesson! What will you Discover in the Learn Rhythm & Rests Course? You will "Learn Rhythm & Rests More Effectively" and Master Your Music Theory Skills. The Learn Rhythm and Rests Course includes 8 video sessions: two for each level of Preparatory (Prep 1 & Prep 2), Basic, Intermediate and Advanced Rudiments, PLUS all your downloadable worksheets with examples and exercises for all 4 levels. The Learn Rhythm and Rests Course is a $200 Value for the complete music theory training video sessions and worksheets. But we want you to get started on your way to music theory success right now, so we’re giving you instant access to all 8 music theory video sessions and downloadable worksheets for ONLY $49! What will you discover in the Learn Rhythm and Rests Course? Rhythm is the most important element of music. Rhythm (from the Greek word rhythmos) is a movement marked by a succession of the dynamics of strong and weak elements or musical sounds and silences. Strong and weak beats are fundamental to the pulse of the rhythm. Rhythm is the length of sound or silence (long or short) that the beat creates. Rhythm in music may begin with an “upbeat” or a “downbeat”. Rhythm may be “on” the beat or “off” the beat. Understanding Beat vs. Pulse is the key to teaching rhythm and rests successfully. The Time Signature determines the division of rhythm through duple time, triple time or quadruple time. Rhythm may be divided into groups of two, three or four. Groups of rhythm and rests are written differently. ♫ In Simple Time each group is equal to a single (undotted) note. ♫ In Compound Time each group is equal to a single dotted note. ♫ In Hybrid Time each group is equal to a single (undotted) note or a dotted note (combination of both). Learning Success in Rhythm and Rests will help you discover how rhythm determines the beat, pulse and duration of sound. 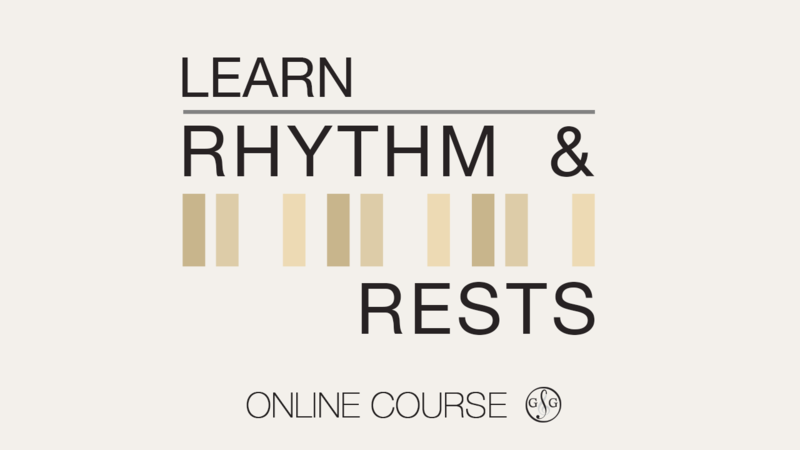 These training video sessions in the Learn Rhythm and Rests Course, will result in your music theory success, as you will learn HOW and WHY rhythm is the most important element in music. Start Your Learn Rhythm and Rests Course Today! 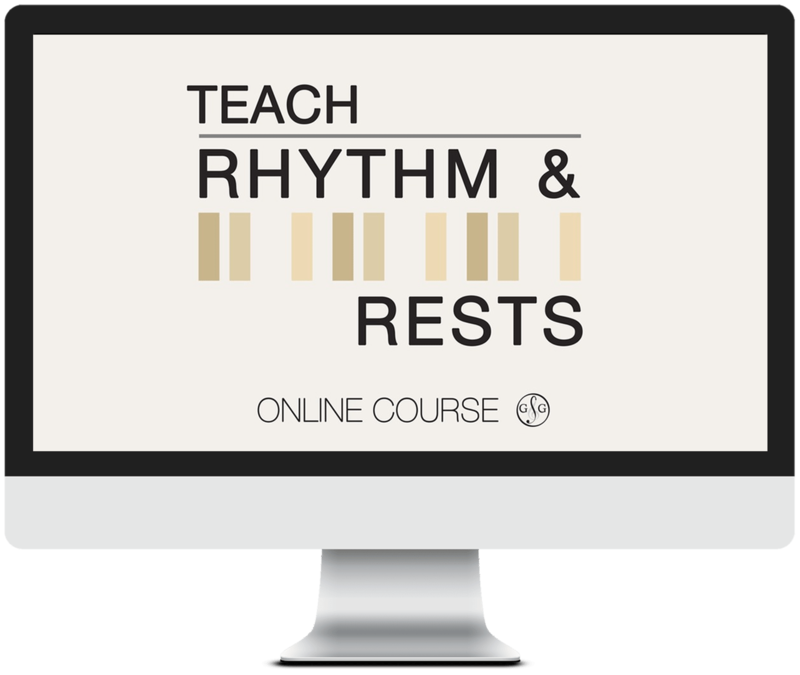 Learn Rhythm & Rests Course - Description here.